Review all ISMS policies, procedures and other core ISMS framework documents like Statement of Applicability (SOA), Catalogue of Documents (CoD) etc, for all in-scope departments and ensure they are all updated. Manage the ISMS risk management program by reviewing all existing asset registers and risk registers. Collaborate with the ITS Global stakeholders and Information Protection Group (IPG) on a regular basis to ensure the ISMS operates smoothly and continuously improves. Conduct meetings with the Management Forum and Information Security Working Group (ISWG) and tracking the minutes of meetings and agenda. Liaison with external auditors from certification agency (BSI) to ensure all scheduled surveillance audits are completed as planned. Manage all internal and external audit findings and ensure their remediation on an agreed schedule with the respective ITS Global portfolio managers. Drive continuous improvements of the ISMS by designing and implementing effective metrics. Support the various ISMS roles with their responsibilities as documented in the ISMS operations manual. Regularly review the scope of the ISMS and ensure it remains relevant for member firms, clients and regulators. Escalate risk and issues relating to the management and operation of the ISMS to ITS Global, Global CISO and other interested parties as appropriate. Maintain ISMS portal and documentation up to date. Collaborate with ITS Global Attestation (SOC2) team to efficiently coordinate ISO and SOC2 efforts. 6-8 years in information security of which minimum of 3 years of business experience in running an ISMS based on ISO27001:2013. Must be a certified lead implementer or a certified lead auditor on ISO27001:2013. Knowledge of key principles and framework surrounding an Information Security Management System (ISMS) and preferably with other related frameworks like ISO27003, ISO27005, ISO27017 and ISO27018. Good knowledge of regional issues and structures, ability to work with people from many different cultural backgrounds. Minimum Bachelor’s degree from an accredited college / university (preferably in Computer Science, Computer Engineering, Information Security, Management Information Systems or other relevant field) – Masters (post-graduate) degree a plus. We believe that progress can only truly be progress if its cause benefits both the individual and society as a whole. Therefore, we combine the newest technologies with what we have accomplished in the century we are existing: a foundation of knowledge, expertise and independent thinking. Lots of activities involving fellow KPMG colleagues, such as Friday afternoon drinks. Please apply via the button below. For questions, please contact the dedicated Recruitment Advisor, Maud van Turnhout at vanturnhout.maud@kpmg.nl. 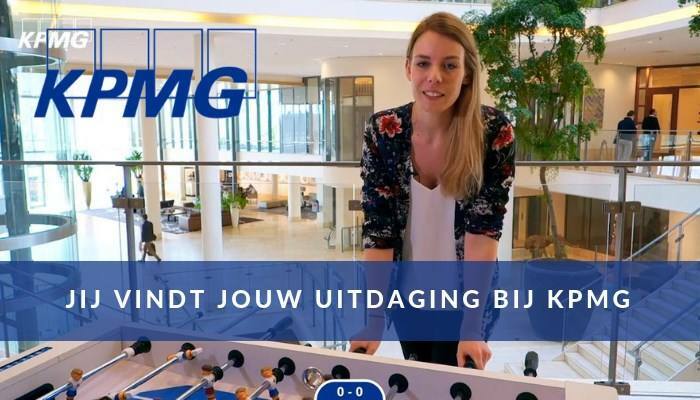 Please send your application for Information Security (ISMS) Manager at KPMG in Amstelveen including your CV via our website.